Air travel with instruments can be a very stressful experience for many musicians. Confusing policies and contradicting behaviour from many of the most popular airlines means that every trip is a guessing game. At MyLuthier, we have experienced our share of pain trying to carry our instruments on board so we decided to compile a list of official airline baggage policies regarding musical instruments. While most airlines have clear rules regarding what you can or cannot take on board (including measurements and weight limits), some do not, so it’s best to always check directly with the airline before traveling. To make this list even more useful, if you have travelled with some of these companies in the past, feel free to rate your experience and let other users know what to expect! Our goal is to find out which airlines are the most musician-friendly, both in terms of baggage policy and overall customer experience. Please note that this list only includes official policies extracted from the companies’ official websites. It’s possible that some travellers have managed to bring larger or heavier items than specified, but this should not be taken as a guarantee for future travel! It’s always best to stick to the specified guidelines to avoid disappointment! If your musical instrument is not insured – INSURE IT NOW – even if you’re not planning on traveling! Make sure your insurance policy provides worldwide cover, or the country you’re flying to is specifically mentioned. Also note that some insurance providers state worldwide cover while excluding particular countries in the fine print (Iraq and Afghanistan are a common example). It might sound obvious but always make sure your instrument is properly packed before even getting to the airport! This is especially important if you’re on tour or fly regularly, as the constant travel might inadvertently make you pack less carefully. Only check in cellos as hold baggage if they’re packed in a flight case! If not, it’s always best to buy an extra seat, but if for some reason the airline insists that your cello needs to be taken in the hold, DON’T DO IT – regardless of any assurances they might try to give you. Sometimes is best to book another flight than to risk destroying your instrument. Always call the airline before booking. While some airlines specifically mention double basses in their hold luggage policies, most do not, so it’s best to check before you even purchase your own ticket. Special handling fee applies. Contact customer service before booking. When booking an extra seat, check in at the airport rather than online. Hand baggage – provided it fits in overhead locker or under seat. String instruments can be carried on board even if dimensions slightly exceed carry-on sixe requirements. Extra Seat required. Contact customer service at least 48h before departure. Accepted in the hold with prior approval from customer service. Contact at least 48h before departure. Extra seat required and subject to Air Serbia approval. At the time of booking your ticket, inform the airline of type, weight and dimensions of instrument. When the sum of the dimensions of the casing holding the musical instrument exceeds 203 cm, the instrument will require Air Serbia approval. Transport of musical instruments requires Air Serbia approval. They recommend purchasing an extra seat for instruments such as cellos, violas and violins. Can be checked in hold. Extra fees apply depending on size and weight of the item. Check official policy page for more info on fees. Cabin seat baggage is charged 100% of the applicable adult base fare, plus 6.25% cargo tax. You can earn Mileage Plan™ miles for both your seat and for the cabin seat baggage seat. Hand Baggage up to 115cm, as part of allowance. Can be checked as hold baggage. Max weight 75kg (165lbs.) Check policy page for more info. Accidental damage cover for checked instruments provided they are packed in a hard-sided case. Hand baggage up to 80 x 30 x 25cm. Extra seat required. Contact customer service to purchase seat. Extra seat required. Contact Service Centre to purchase seat. Transported in the hold. Contact Service Centre before booking. Can be checked as hold baggage. Max weight 75 kg (165 lbs.) and total dimension doesn’t exceed 381 cm (150 inches) Check policy page for more info. Must be checked in as Hold Luggage, subject to payment of the baggage fee, and cannot weigh more than 32kg. Double basses must be transported in a hard case and checked in as luggage. If you book an extra seat via telephone before midnight on the same day as you book your flight, the extra seat will cost the same as your own seat and there will be no extra charge. If an extra seat is added later, it will be charged at the current flight price as shown on the Internet. Larger musical instruments up to 32 kg and/or 190 cm x 75 cm x 65 cm can be carried for an additional heavy bag charge. Heavier instruments may be accepted with a prior approval. Extra seat required. Contact Iberia Bookings Centre. The maximum measurements allowed for checked-in musical instruments are 190 x 75 x 65 cm with a maximum weight of 23 kg. For short-haul and medium-haul flights, a single fee of €45* in each direction applies, regardless of the luggage allowance. 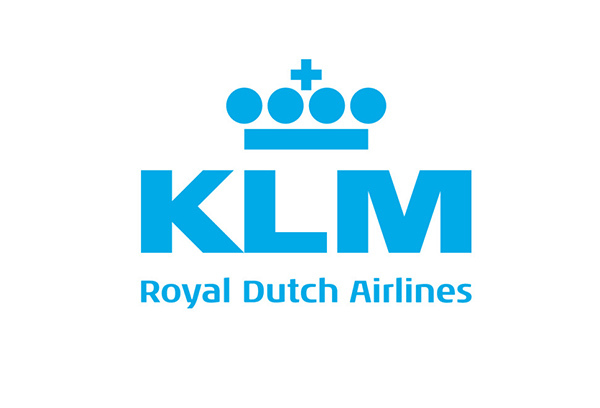 Contact KLM Telephone reservations at least 48h before departure. Hand baggage up to 142cm (56in) = 85cm (34in) +34cm (13in) +23cm (9in). Notoriously unfriendly towards musicians. Avoid booking if possible! Carry-on luggage up to 140 x 42 x 25 cm. Contact customer services at least 48h before the flight. Transported in cargo hold and not loaded onto conveyor belt at check in. Contact costumer services before booking. Hand Luggage – provided it can fit in the overhead locker or under seat. Extra Seat required. Contact customer services before booking. Check-in baggage subject to additional fees. NOTE: While we make every effort to provide accurate and up-to-date information, always check the airline’s official website before traveling. MyLuthier is not liable for any charges or damages occurred as a result of the information provided on this page.